Today has had a lot of big news in the world of the Blue Jays minor league organization and I’ve decided to bring it all together in one post rather than stretch it out over three. First of all, via Mike Wilner and Shi Davidi, we find out that the Blue Jays are only adding Deck McGuire to their 40-man roster before the deadline to protect players from the Rule 5 Draft (although, see below to discover that Kenny Wilson has also been added). If you’re not aware, the annual Rule 5 Draft is designed to keep teams from being able to hoard too much top talent in their minor league system. A player becomes eligible for the Rule 5 Draft four or five years after being drafted or signed initially (it depends on the player’s age at the time of signing). A player selected in the Rule 5 Draft must spend the entire following season on the new team’s 25-man roster (or DL) or he must be offered back to the original team (money changes hands but it’s rather minimal for how much ML teams spend). Rule 5 players can be traded but they must still be kept on the 25-man roster of the new team for the remainder of the year. Notable players chosen in the Rule 5 Draft include Jose Bautista, Shane Victorino, George Bell and R.A. Dickey. For the Blue Jays there weren’t a significant number of prospects becoming eligible this offseason for the first time. Bluebird Banter has a handy chart of players who are eligible (and when they will become eligible) so you can play along at home. Glancing at the chart, McGuire is the only player who becomes eligible this year that is highlighted as someone that MjwW felt would be in danger of being selected. While there are some intriguing other names on the list, like K.C. Hobson, Marcus Knecht and Santiago Nessy, none have risen high enough in the minors nor done well enough to merit a team risking a 25-man roster spot for 2014. While McGuire didn’t have a statistically great season in Double-A New Hampshire, he improved greatly throughout the season and his stuff is good enough to play at the major league level. Most of the issues for McGuire have more to do with consistency and focus rather than physical ability. He could certainly make some starts in the majors at this point and not do much worse than some of the 2013 starters but if he does see ML time in 2014, it might be in the bullpen. Also added (see update below) was outfielder Kenny Wilson who had a very solid (if injury shortened) season in Double-A and a decent, yet streaky, showing in the Arizona Fall League. Wilson has excellent speed and plays an outstanding center field to go along with a decent bat but he still strikes out a little bit too much to make him a candidate for the majors any time soon. Some thought Ricky Romero might be protected but he is unlikely to be chosen due to his big contract. Lefty reliever Juan Perez is also available. Some thought Justin Jackson might be protected but the jury is still out on his future as a pitcher and he is unlikely to be able to make an impact yet after just one season of pitching in the minors under his belt. He only reached High-A Dunedin this season with mixed results. Catcher Sean Ochinko is also unlikely to be selected after getting suspended for an amphetamine at the end of last year. I think that Brad Glenn could be chosen if a team has a real need for an extra outfielder with more pop in his bat than Wilson. 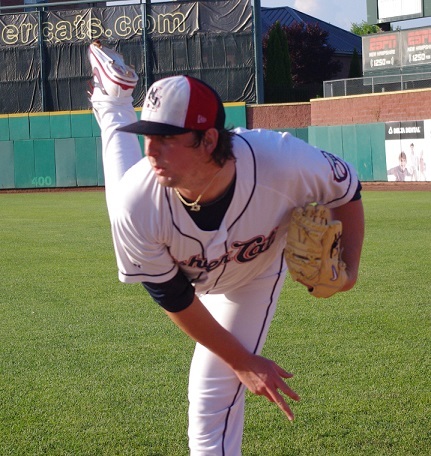 UPDATE: The New Hampshire Fisher Cats posted a tweet congratulating Kenny Wilson on being added to the 40-man roster. We’re working on confirming this. Congrats to @ItsKennyWilson too! 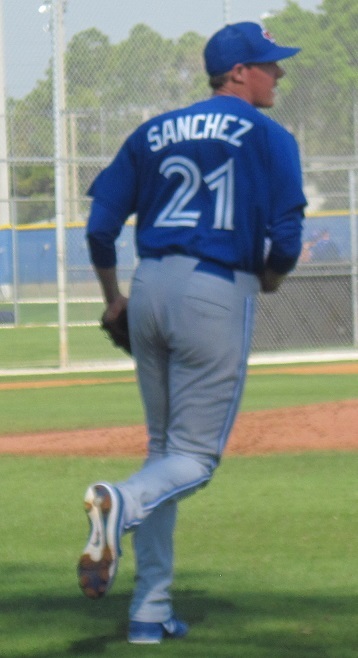 Added with @deckmcguire to the @BlueJays 40-man roster today. Confirmed: #BlueJays have added OF Kenny Wilson to 40-man roster. He’s now protected from Rule 5. Fisher Cats tweeted it out earlier today. The second bit of news is that both Aaron Sanchez and Marcus Stroman made the MLB.com list of Top 20 prospects compiled by Jonathan Mayo and Jim Callis. They had Sanchez at #4, calling him the “best starter in the AFL” and saying that he “has top-of-the-rotation stuff and is ready for a move to the upper levels of Toronto’s system.” High praise for the 21 year old. 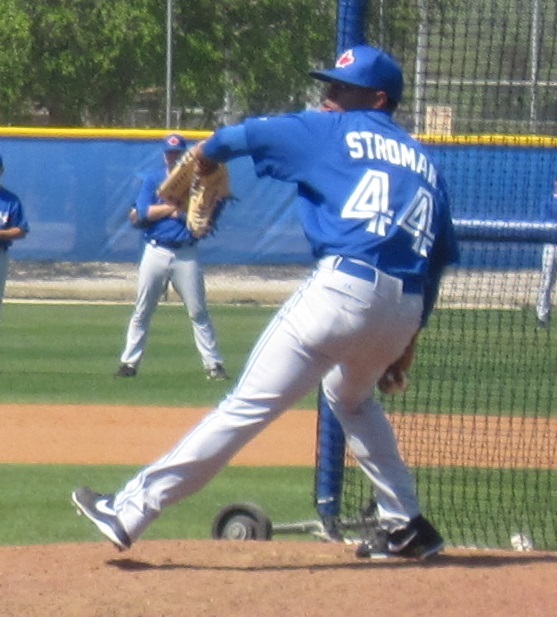 As for the “Stro Show,” Callis and Mayo ranked him at #12 and wrote that “Stroman had a solid turn in the Rafters’ bullpen, holding hitters to a .186 batting average and striking out 10.03 per nine, but his future is as a starter.” This, combined with a great article looking at Stroman’s mechanics at the Hardball Times, really shows how consensus is turning on the 22 year old righty’s abilities to start in the majors. Finally, we’ll go a little further afield to Taiwan where the Australian Baseball League’s Canberra Cavalry defeated Taiwan’s Uni-President Lions 14-4 in the final of the Asia Series. The Cavalry were led by Blue jays prospects Jon Berti (3-5, 2 RBI) and catcher Jack Murphy (2-4, HR, 7 RBI) in the romp. Murphy is becoming something of a legend in the Australian Baseball League. 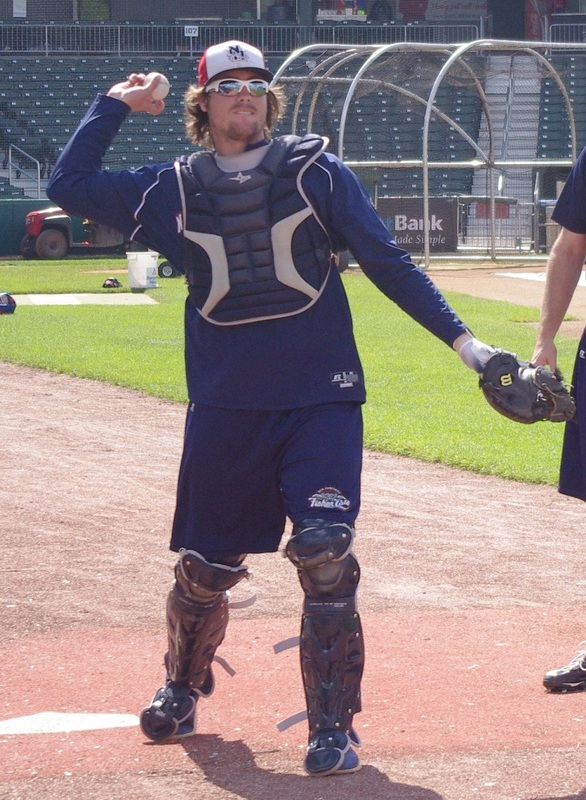 The 25 year old catcher was one of the more popular Cavalry players last year and keeps adding to his myth after homering in the top of the tenth inning of the semi-final game to give the club a chance to get to the final in addition to a grand slam in the final game itself. Congrats to the Canberra Cavalry and the four Blue Jays minor leaguers, Jack Murphy, Jon Berti, Michael Crouse and Shane Opitz on their Asia Series Championship.